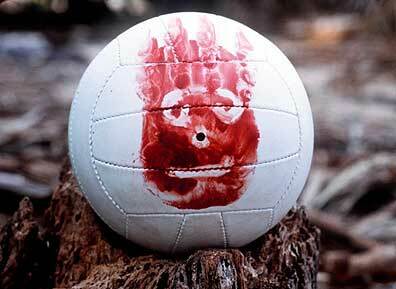 If one was stranded alone on a desert island, like Tom Hanks’ character was in The Castaway, talking to yourself is understandably a good thing to do to relieve loneliness and stave off the insanity of prolonged isolation. But what if you talk to yourself when other people ARE around? What does it say about you? That you’re crazy? Surprisingly not. As it turns out, not only do the smartest people on earth talk to themselves, but doing so is a sign of GENIUS. Albert Einstein used to softly repeat sentences to himself. He believed it made his brain work moire efficiently and he was right. Now science is catching up to explain this curious phenomenon. In a study published in the Quarterly Journal of Experimental Psychology, psychologists Daniel Swigley and Gary Lupyah conducted an experiment where 20 people were given the name of an object (like a box of cereal or an orange), then were told to locate the object in the supermarket. The participants had to be silent during the first object hunt, then the experiment was repeated where they were instructed to say the name of the object aloud as they searched for it. The participants found the object easily when they spoke to themselves throughout the search. Swigley and Lupyah hypothesized that saying the object out loud lights up the brain and serves to better consolidate memory. Perhaps this is why we often talk ourselves through finding lost keys or cell phones. Talking to yourself not only keeps one focused on the task at hand, but it helps to clarify your thoughts and allow inspiration to come through to accomplish your goals. We learn this ability in childhood. Children often talk to themselves when learning something new—like how to put the toy they’ve taken apart back together again. It helps them remember for future recall as well as make sense of how the mechanics of the world works. Greater problem solving is not the only benefit of talking to yourself. Scientists and psychologists agree it also relieves anxiety and stress. According to a study conducted by Columbia University psychologist, Dr. Ethan Kross, people who speak to themselves in the third person are more likely to have less anxiety, give better speeches and presentations, complete tasks with higher performance results, communicate more effectively, and maintain a deeper sense of self-advocacy than those who use the first person ‘I.’ They are also more successful. 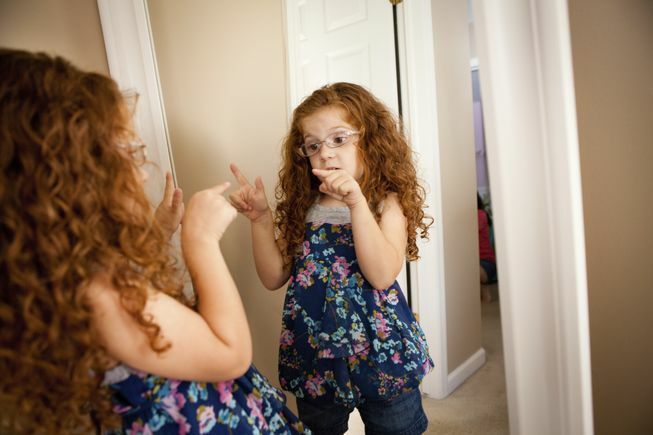 So instead of saying to yourself, “I am so stupid,” instead say, “Kathy, that was not a very smart thing to do.” Talking to yourself in the third person actually makes you smarter, more imaginative, and more confident. This is because using your name removes you from all of the emotional intensity that you subconsciously associate with yourself in the first person ‘I.’ Speaking in the third person lights up the brain’s cerebral cortex, which is the outer layer of neural tissue linked to memory, perception, awareness, thought, language, and consciousness. Now, you’re probably wondering about all those people who are walking the streets talking to themselves who clearly have mental health issues. The difference between a thought disorder and healthy self-talk is that the former do it excessively coupled with delusional and hallucinatory thoughts they believe aren’t their own. Oftentimes there is paranoid behavior. So don’t worry that talking to yourself is harmful to your mental health. Think of it as your personal cheerleading team for a more successful life. Talking to oneself is a good way to develop the Inner Voice. 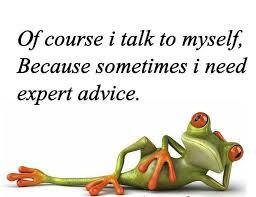 Some say that talking to oneself can help us clarify thoughts, remove stress and improve mood. This is the path used by many spiritual guides and for me by the nature spirits such as Faeries and Elves. Thank you for your article! Warning Signs for Choosing an Alternative Health Practitioner Mission to Inner Earth – Is it Really Hollow?